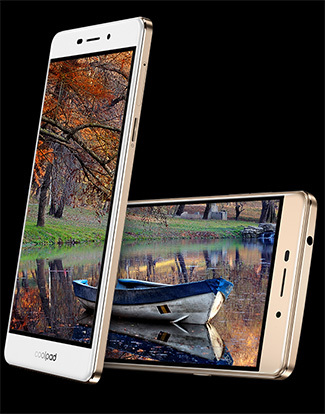 Coolpad launches Mega 2.5D Rs 6,999; can it lure selfie lovers? Chinese smartphone manufacturer Coolpad launched Coolpad Mega 2.5D in India, targeting a significant market share in the under Rs 8,000 smartphone market in the country. The smartphone, targeted at selfie lovers, is priced at Rs 6,999 and will be available exclusively via Amazon in variants of Gold, White and Black. Coolpad Mega 2.5D comes with a 2.5D curved screen and 5.5 inch IPS HD (1280x720) display. The Coolpad Mega 2.5D launch comes barely days after Xiaomi launched its Redmi 3S smartphone, which comes at the same price, in India. "We are raising the bar with every new product and strive to better ourselves so that we can spoil our consumers for choice. With the launch of Coolpad Mega, we aim to capture 13-15% of under Rs 8,000 online smartphone segment which is growing at an astounding 100% rate year on year," said Syed Tajuddin, CEO, Coolpad India. The phone comes with an 8-megapixel front camera for selfie lovers and also sports a 8-megapixel rear camera. It is powered with a 2,500 mAH battery and 64-bit MediaTek MT6735P quad-core processor which is paired with 3GB RAM. The phone runs on the CoolUI 8.0 based on Android 6.0 Marshmallow out of the box. It supports dual SIM with VOLTE support and offers 4G LTE network. It comes with 16GB of internal storage and weighs 140 gms. At Rs 6,999, the phone will compete with Coolpad's Note 3 Lite, Swipe Elite Plus, Xiaomi Redmi 3S and Reliance Infocomm's Lyf devices. Interestingly, Coolpad Mega doesn't have a fingerprint scanner which is available with Coolpad Note 3 Lite. The phone comes with a 2,500 mAH battery which can hurt heavy users. However, features such as 5.5-inch HD display, 3GB RAM and the 8-megapixel selfie camera are expected to lure customers. One has to wait and watch to see if this device can match Coolpad's expectations to capture 15% of the under Rs 8,000 smartphone segment.